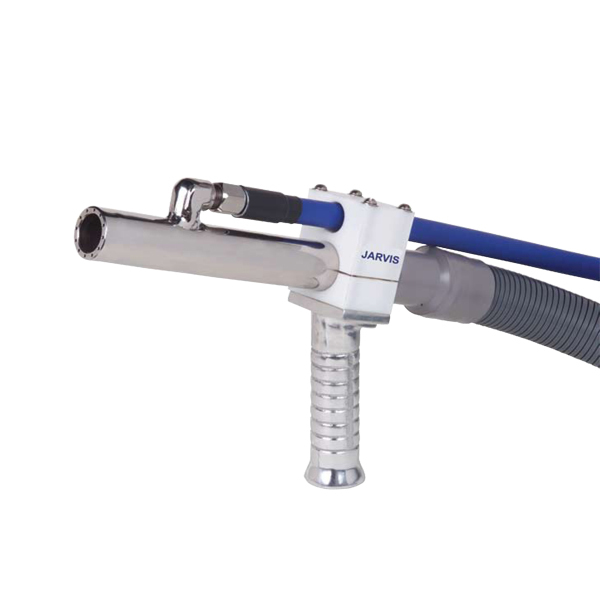 The Jarvis Versatile Steam Handle – ideal tool for removing contaminants from hard to reach carcass areas. • Versatile tool for removing contaminants from hard to reach carcass areas, especially briskets, hocks, hind legs, heads and stick wounds. • Ideal for tight areas on beef, pork, lamb and veal carcasses. • Uses steam to reduce carcass microbes and contaminants. • Lightweight handpiece for optimum operator comfort and maneuverability.